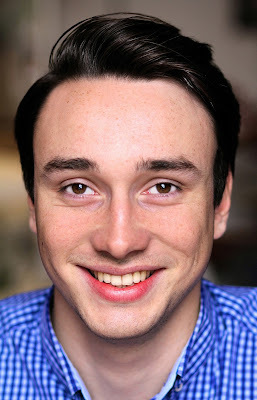 The baritone Huw Montague Rendall, who was Fiorello in Glyndebourne's Il barbiere di Sivigla (see my review of the performance at the BBC Proms), has been awarded the 2016 John Christie Award. The John Christie Award is an annual scholarship given to a promising young singer at Glyndebourne to fund private study and has been awarded since 1965 by the Worshipful Company of Musicians. Past winners of the John Christie Award include Ryland Davies, Richard Van Allan, Linda Esther Gray, Sir John Tomlinson, Gerald Finley, Alfie Boe, Kate Royal, Matthew Rose, Allan Clayton, Duncan Rock and Louise Alder. 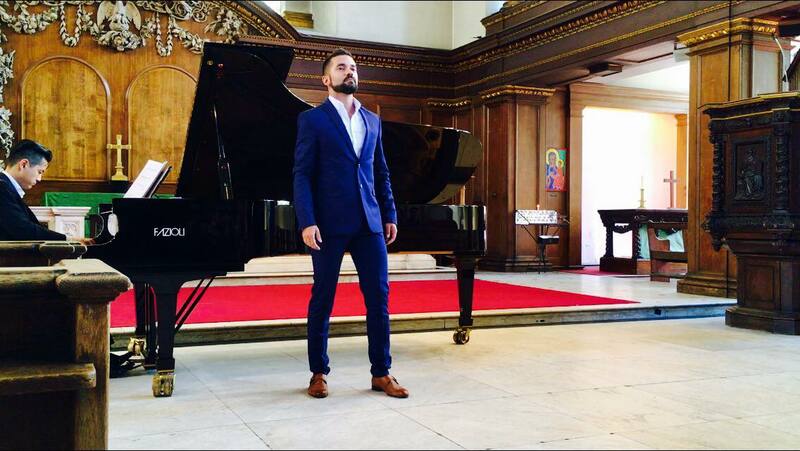 Huw Montague Rendall's parents are the distinguished mezzo-soprano, Diana Montague, and the tenor David Rendall. Huw is a Jerwood Young Artist and was a member of the 2016 Glyndebourne Festival Chorus, and later this year he will join the International Opera Studio, Opernhaus Zürich. PopUp Opera have yet another outstanding production in Rossini's 1816 opera buffa "Il Barbiere di Siviglia", with Joseph Doody, Leif Jone Ølberg, Flora McIntosh, Tom Asher, Emily Blanch, directed by James Hurley, musical director Berrak Dyer. I saw the performance on the 22 June 2016 at the Brunel Museum, which has undergone a transformation since my last visit. Congratulations have to be in order for the museum's tenacity in opening up this historic and atmospheric space. Gone is the hole which you needed to crawl through to gain entrance. Gone are the scaffolding and rickety stairs. Instead there is a grandiose steel and wood staircase, which dominates the back of the cylinder. Despite their size, the new stairs somehow manage not to impose their personality on the rest of the space, allowing it to retain the original faded-industrial feel. The old entrance is just visible high up on the wall. The bar, which previously had been someone selling bottles and crisps from a table in front of the museum, is now a stylish roof top terrace with plants, heaters and cocktails. 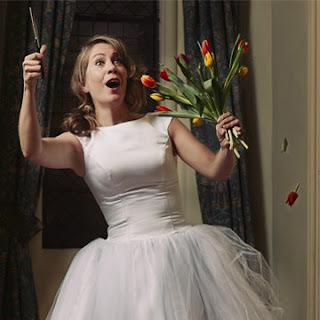 Pop up opera, who you may have heard on BBC Radio 4 if you are an Archers fan, was founded in 2010 by Clementine Lovell and joined in 2012 by Fiona Johnston as Producer and in 2014 by Berrak Dyer the Musical Director and pianist. This production was directed by James Hurley. 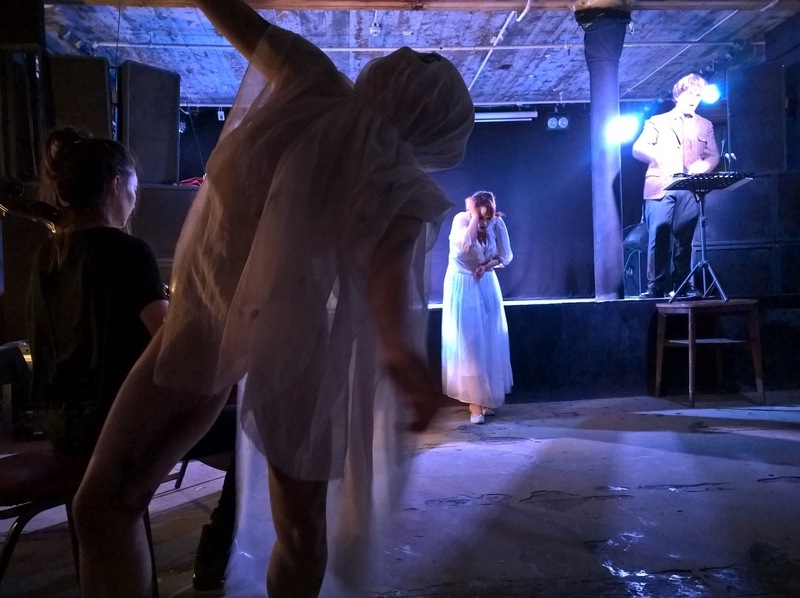 My opera, The Genesis of Frankenstein, which was premiered by the Helios Collective at the CLF Arts Cafe on 28/29 October 2015, is now available for viewing on Vimeo. The video was recorded live at the premiere performances, director Ella Marchment, conductor (and tenor soloist) Noah Mosely, choreographer Louise Kristiansen, with soprano Isolde Roxby and baritone Tom Asher, dancers Anuschka Sochr, Ughetta Pratesi, and Lindsey Fraser, musicians Helen Favre-Bulle (piano), Mimi Jaeger (cello), David Mear (clarinet), and Lyri Milgram (violin). The Genesis Frankenstein is a one-act chamber opera lasting just over 20 minutes, setting texts taken from Mary Shelley’s novel. The piece arose from another longer piece, Et expecto resurrectionem mortuorum for three soloists and ensemble. But the setting of Shelley’s Frankenstein seem to have a strength which lifted it from its surroundings. Eventually I decided to try re-casting it as a short operatic piece using only Mary Shelley’s words. In the novel, Frankenstein narrates the whole so that all the events are presented in report rather than real time. Transferring this to an opera means that the drama flows faster than might happen if the events were depicted and in a sense the piece is Frankenstein recalling events as they tumble through his brain. I have emphasised this by having three singers playing different aspects of the same character. The soprano is the most excitable one, what I think of as Frankenstein’s questing soul, the tenor is Frankenstein the man whilst the baritone is natural philosophy. The baritone part is generally regular and when the tenor joins him, the tenor part reflects this quality. 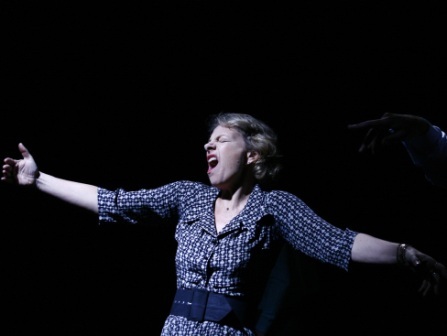 Similarly the soprano part is the most excitable and this quality transfers to the tenor when he sings with her. To these the director, Ella Marchment, decided to add three dancers (choreography by Sarah Louise Kristiansen) to quite stunning theatrical effect. There are moments (at the opening and closing) when the singers sing in strict homophony, effectively creating a new voice. The result is more a meditation on the story than a dramatic presentation. 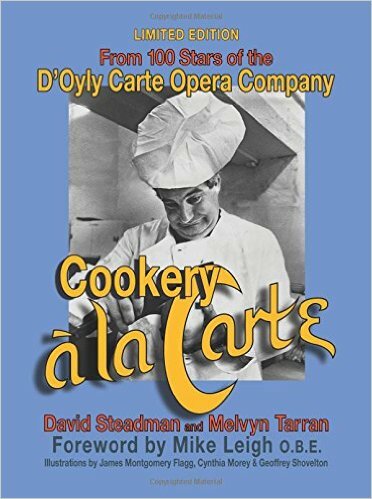 As such, it is an extension of my interest in the non-representational aspects of operatic drama, which manifested in my previous opera When a Man Knows by having a chorus singing the stage directions and by creating an opening sequence which was almost abstract. The Genesis of Frankenstein from Robert Hugill on Vimeo. In the UK, conductor Harry Bicket is best known as the artistic director of the English Concert, with a repertoire which has baroque music at its centre. And it is in the baroque and classical repertoire that he has developed a reputation at opera houses such as the Bayerisches Staatsoper in Munich and the Metropolitan Opera in New York. 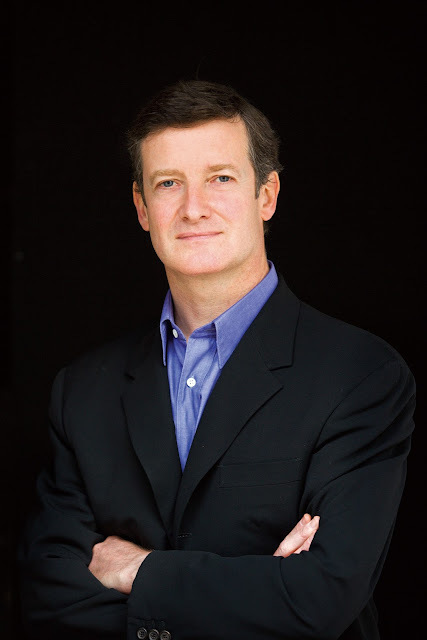 Since 2013 he has also been chief conductor at Santa Fe Opera, where this year he conducted a new production of Gounod's Roméo et Juliette (see my review), a choice of repertoire which might seem surprising until you learn that before his big break conducting the premiere of Peter Sellars' production of Handel's Theodora at Glyndebourne, Harry spent five years on the music staff of English National Opera (ENO). I met up with Harry whilst I was in Santa Fe to chat about his work at Santa Fe Opera, and the varied trajectory his career has taken. Harry explained that his career path was guided very much by the work he was offered, rather than a grand plan. And thought principally known now for the baroque and classical repertoire, he did much of the standard repertoire at ENO. He was on the music staff in the 1980's, towards the end of the 'Powerhouse' period when the company was run by Mark Elder, David Pountney and Peter Jonas. 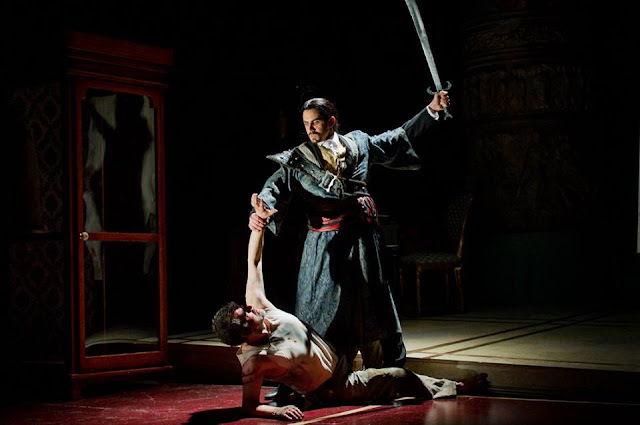 Harry conducted the last couple of performances in the opening run of David Alden's production of Handel's Ariodante with Ann Murray in the title role. Harry refers to the wonderful cast and a fabulous piece. 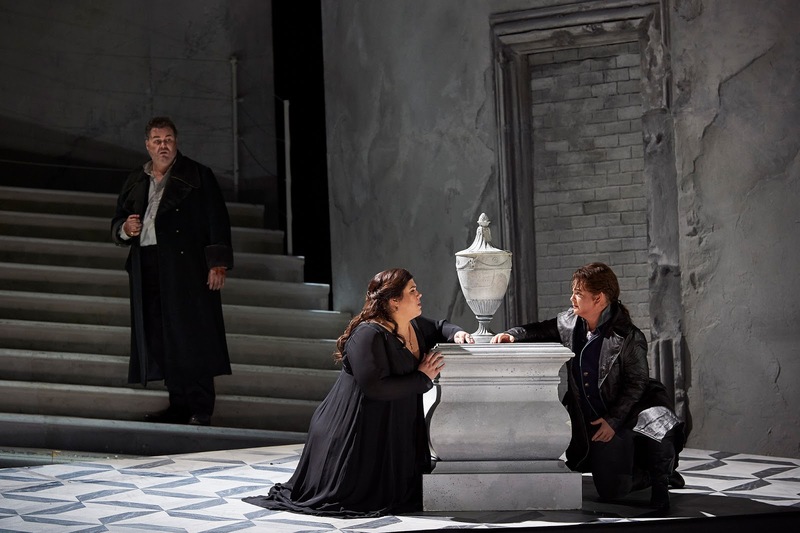 On the strength of these performances he was offered Handel's Theodora at Glyndebourne and out if this developed relationships with the Metropolitan Opera and Bavarian State Opera. At the time, having just left ENO, Harry saw the Glyndebourne performance as interesting work, rather than an opportunity to specialise in the baroque repertoire. There was no career plan, but Harry both knew the repertoire and had experience of working on baroque music with modern orchestra, understanding what information players needed to know to play the baroque repertoire on modern instruments, instruments which were designed for a very different repertoire. 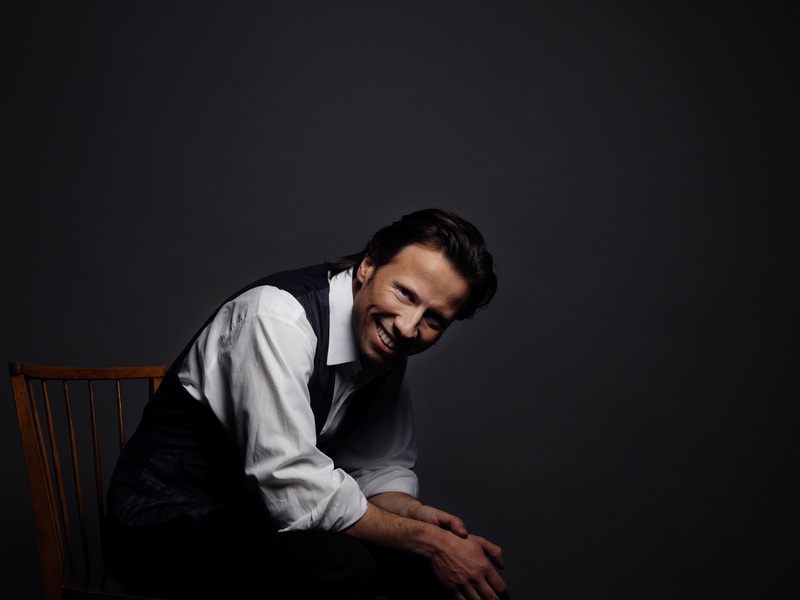 More recently he has been returning to the 19th century classical and romantic repertoire that he loves. As he puts it, 'not looking to conquer the world but to make occasional forays conducting works which interest him'. Performances have included Dvorak's Rusalka and Mozart's Le Nozze di Figaro with Houston Grand Opera, Rossini's Maometto II with Canadian Opera Company and Gounod's Roméo et Juliette with Santa Fe Opera (see my review), as well as the recent semi-staged performances of Handel's Orlando with the English Concert. Regarding the choice of Gounod's Roméo et Juliette Harry admits that he rather prefers the opera to Gounod's most famous opera Faust. Though with Roméo et Juliette there are problems with the libretto, he finds Gounod's music incredible, and the work brilliantly adapts Shakespeare's play. 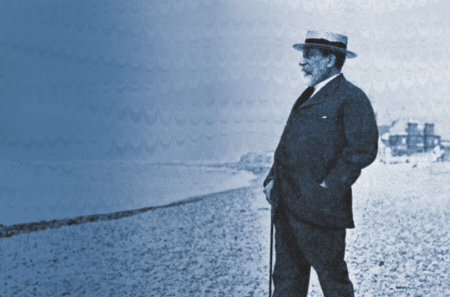 For Harry, Gounod's opera is deeply felt, highly personal music indicating Gounod has taken great care with the piece. He admits that the Santa Fe orchestra members sighed when the work was announced, but they have come to love it. 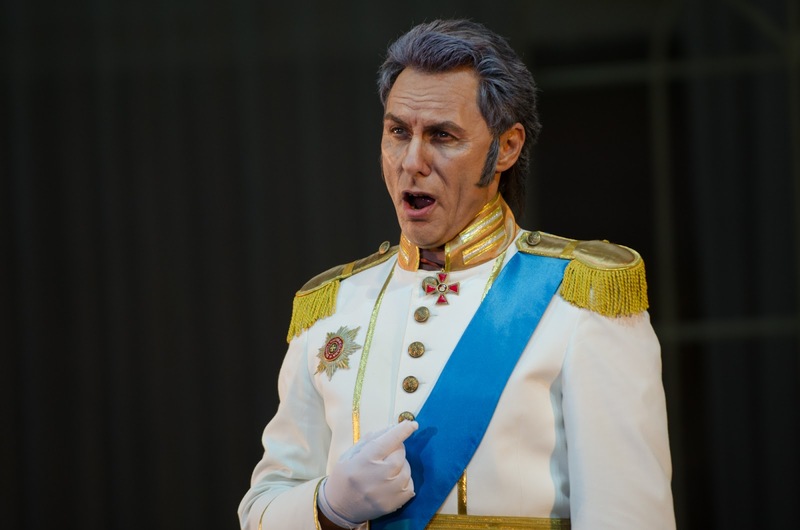 Just has his career has an element of serendipity to it (or perhaps being in a particular place at a particular time), so there is no clear line between the operas he has performed recently. Rossini's Maometto II was not on his wish list, but he is certainly glad he did it. Whilst he had conducted Rossini's La Cenerentola and Il barbiere di Sivigla in Munich, Harry found Rossini's opera seria Maometto II something else entirely. 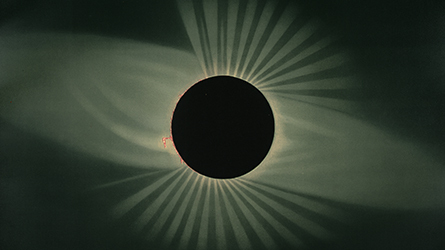 The performances in Canada (using the production from Santa Fe) used Philip Gossett's recent critical edition of the piece. Harry refers to the monstrous scale of the work, commenting 'what do you do with a trio lasting 35 minutes?' (the Act One Terzettone). Yet he finds the music resembles early Verdi and it was a huge hit in Canada, attracting amazing audiences. 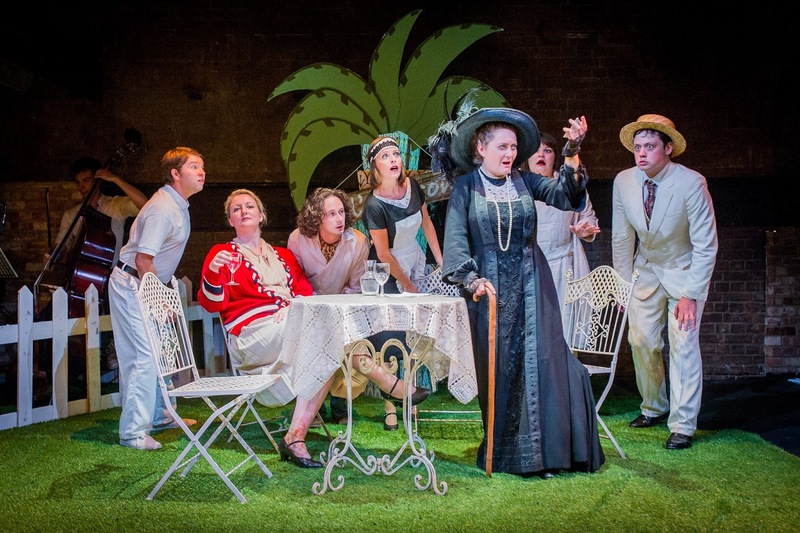 In the past this style of opera has been seen as just 'stand and deliver' but Harry finds audiences have a thirst for it, particularly if cast well and sung with virtuosity. Harry points out that in more recent opera, time is sped up so that Rodolfo in Puccini's La Boheme is singing a duet with Mimi within six minutes of meeting her. In opera seria (both baroque opera and Rossini), there is more of a sense of real time thinking about a subject. In a Da Capo aria a character might spend five minutes singing about love, five minutes about betrayal in the middle section before returning to the subject of love but this time coloured by the thoughts of betrayal. Harry sees this as being more like the way we really think, though he admits that it needs the right singers to bring it off in the opera house. I was interested to find out how different working at Santa Fe opera was to European Opera houses. Harry's immediate reaction is to say that things are done faster, in far less time. A revival at Opera North will have four, five or even six weeks rehearsal. 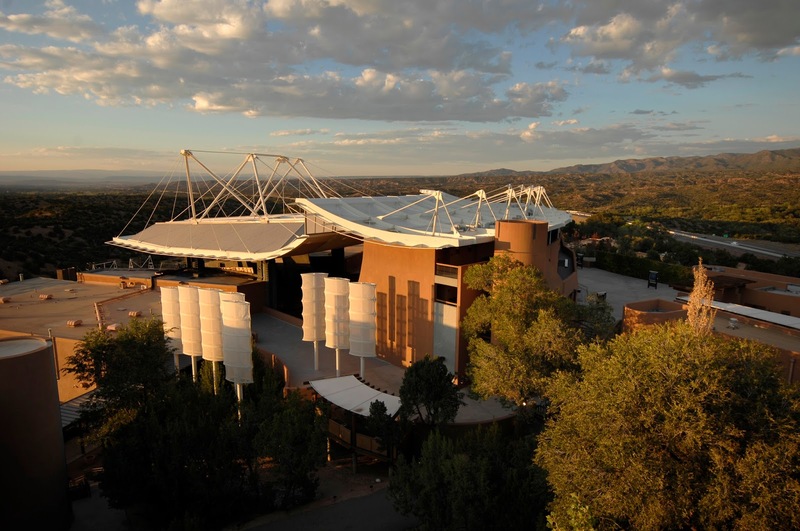 But Santa Fe Opera mounts five operas in the space of three or four weeks. 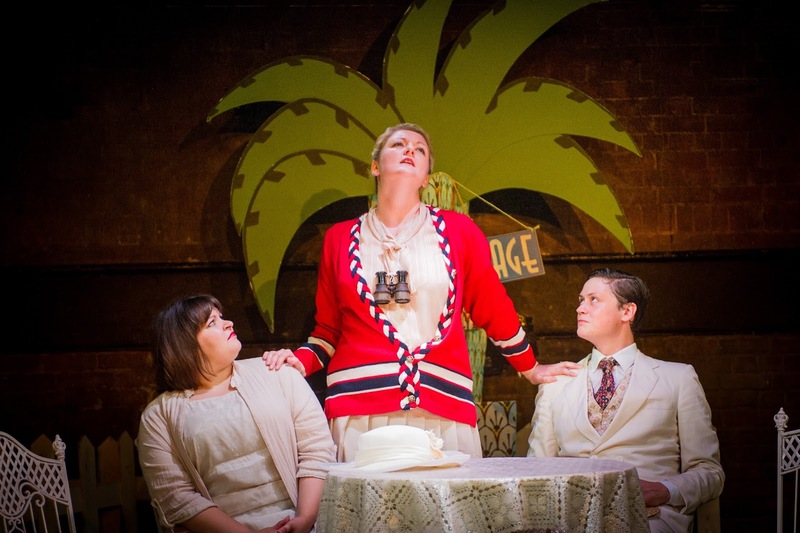 Everything, sets, props and costumes, is made on site, so with all this and the young artists Apprentice scheme, the pressure on the company is intense. There is the need to work much quicker, and singers turn up on the the first day ready and fully coached. Harry points out also that the company is different because people work there because they want to. The entire orchestra drives across the states with partners, families, children and dogs to spend the summer every year in Santa Fe. Jobs in the orchestra are prized, for the recent principal bassoon vacancy they had 100 applicants. It is also a huge feat, getting the audience to come each year, yet in the last year more people came to the opera than the population of New Mexico - an amazing statistic. The management under general director Charles MacKay operates a tightly run ship and it is one of the few companies in the USA operating in the black. Harry is in Santa Fe from the second week of June to the end of August. When first offered the job of chief conductor he was doubtful, being 5000 miles away from his wife and family for such a long time. But they have made it work. His wife is a scientist and whilst Harry is in Santa Fe she works at the Santa Fe Institute so that the whole family is able to spend the summer in Santa Fe. Harry had absolutely no intention of becoming a conductor and he studied as a pianist at the Royal College of Music in the late 1970's. He wanted to be a concert pianist but came to the realisation that he might not be good enough and was not keen on the rather lonely life it entailed. He had been an organ scholar at Oxford under Simon Preston, and when Preston moved to Westminster Abbey he offered Harry the job of assistant organist. Harry had no specific plan, but it seemed a good idea and he had an enjoyable four years. Ye he was thinking about giving it up and 'getting a proper job' when he was offered the position on the music staff at ENO by Mark Elder. Harry admitted that he didn't know anything about opera, but passed the audition and spent an incredible five years there, from 1988 to 19993, working with directors such as Richard Jones, David Freeman, Graham Vick and the Alden brothers. These were the ENO's golden years, there was a buzz about the place and the auditorium was packed every night. Yet, Harry knew that he did not want to stay on the music staff for ever. A former ENO colleague, Paul Daniel, moved to Opera North as music director and offered Harry a revival of Annabel Arden's production of The Magic Flute. To do the production Harry needed to leave his job at ENO. He decided to take a chance, and if things did not work out he could return to being a repetiteur. He was indeed offered more work, but it was Handel's Theodora at Glyndebourne which was his big break. He was originally down to do the tour, following the premiere of the production in the main house with William Christie conducting. But Christie fell ill and Harry was invited to take over the main stage performances. Normally Glyndebourne would have brought in a replacement conductor, but at this time there were few people who knew Theodora. Both Munich and the Met heard him, and relationships developed with both companies. The Met asked him to assist James Levine for a year, so he worked with Levine on four or five shows and this has also developed into a relationship with the company. Whilst he had no particular ambitions, he found himself doing it full time and loved it. He enjoys the social aspects of his job, working with people, and he learned a lot playing for singers, and he admits he would have found it lonely as a soloist. He leads the English Concert from the harpsichord but rarely plays solo nowadays. He recently did a programme in Santa Fe with the Desert Chorale, and found it something of a shock playing a solo piece. Without playing every day, he feels that you cannot just sit down and perform a solo well. At the Met, when he performs baroque opera he uses two harpsichords, accompanying the recitative himself on one but conducting the arias and ensembles because of the size of the theatre. In Munich, the pit is built up for this repertoire which facilitates communication, so he directs from the harpsichord. 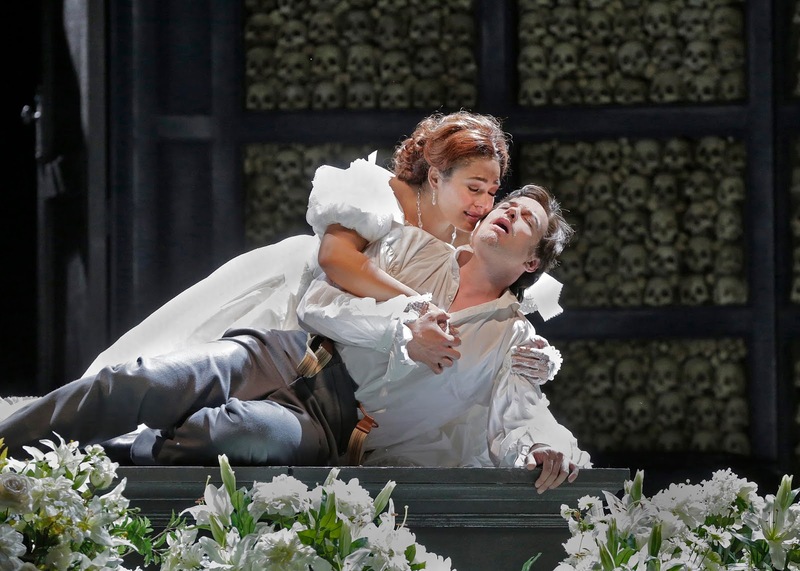 When he performs Handel's Alcina with Santa Fe Opera in 2017 he hopes to be able to direct from the harpsichord. When directing baroque opera with modern instruments, it is the whole idea of rhetoric which he is concerned to convey. That every gesture, including the melody, is rhetorical and it is no good just playing a sostenuto line. He explains that modern instruments are designed to play even, strong lines, but in the 18th century evenness was anathema, music was made more like speech than song. So unless the players make the music speak as the singers do, there is a danger of it being boring. String players speak with the bow, and with a baroque instrument using gut strings and a baroque bow, this is far easier because the baroque bow is naturally uneven in the pressure it applies to the strings. So musicians who play regularly on baroque instruments are far more used to the rhetorical style, Harry cites as an example a bass line of repeated notes, two pages of quavers which a modern player would see as boring. But a baroque player would give each note a different length, articulation and volume, so a player needs to use fantasy and imagination to bring the music alive. Harry explains that as children we learn music to express our individuality, but this is not what is required of players in a modern orchestra. When he conducts, Harry wants his players to be individuals, certainly they need to listen to each other but they need to bring something of themselves to the performance as well. This is not strictly a technical issue, though he can help players technically as well. In order to characterise the sound-world of a movement he normally gives the orchestra two or three adjectives. Modern musicians are far better at assimilating these ideas than in the past. When Harry conducted David Freeman's production of Monteverdi's L'Orfeo at ENO (the first new production he conducted), the concert master's response to Harry's comments to the orchestra was 'that is not the way I was taught to play the violin'. Younger players now are more flexible, they have heard a baroque orchestra and may have held a baroque bow. Orchestras nowadays expect to change their sound according to the repertory. When Simon Rattle performs Mozart with the Berlin Philharmonic Orchestra it sounds different to their Mahler, but this was not always the case. The English Concert is doing more theatrical events at the moment. The English Concert is doing more theatrical events at the moment. The series of baroque operas at Carnegie Hall (which have been touring to Europe including the Barbican, see my review of Handel's Orlando) continues with Handel's Ariodante with Joyce DiDonato and Christiane Karg, and Harry is pleased that the series seems to be continuing into the foreseeable future. This Summer, the English Concert performed Handel's Tamerlano at the Buxton Festival conducted by Laurence Cummings, in production directed by Francis Matthews (see my review). 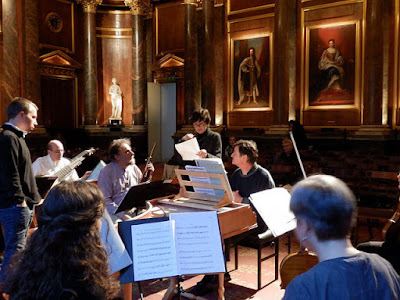 This collaboration with the festival is continuing and Harry thinks it is good for the orchestra to be performing in events which give them profile whilst he is away in Santa Fe. He and the English Concert will also be performing in the revival of Tom Morris's staging of Handel's Messiah at the Bristol Old Vic. And the ensemble will of course be touring Europe and the UK. The Arts Council's withdrawal of the English Concert's National Portfolio Organisation has led to a reduction in income. The amount is not huge in terms of the annual turnover, but it contributed to core funding and it is a headache nowadays to raise money for core funding. The admin team is tiny, but they have to raise money for three staff in order for the company to function. All the orchestra's activities lose money though some EU tours do bring in a little money. Travel and accommodation costs have gone up, so the amount of touring they do in the UK depends on the amount of money raised. But Harry thinks that it is important that an ensemble called the English Concert doesn't just perform in Spain and Germany, even though this would make economic sense. 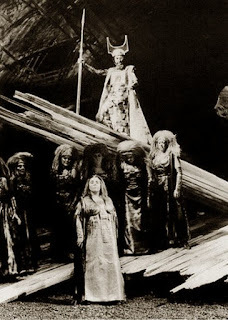 When I ask Harry what his desert island opera might be, he says he would love to conduct Debussy's Pelleas et Melisande, but that this is perceived as box office death, and companies often only put it on because the musical director wants to conduct it! He is conducting Bizet's Carmen in January in a new production in Chicago with the Lyric Opera. He has worked a lot with the company but on earlier repertoire and is looking forward to seeing what they can do with Carmen. 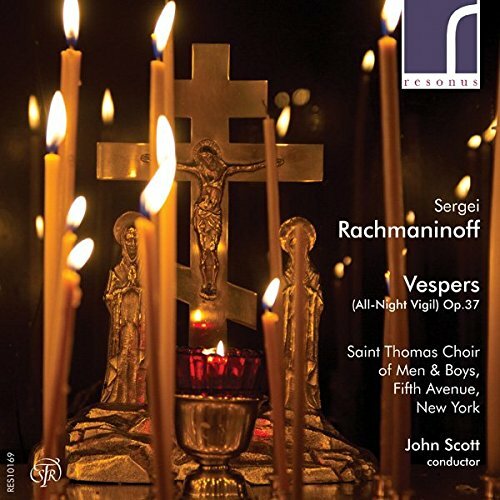 A very Anglican fervour: Rachmaninov's Vesper's from John Scott and the choir of St Thomas, New York. 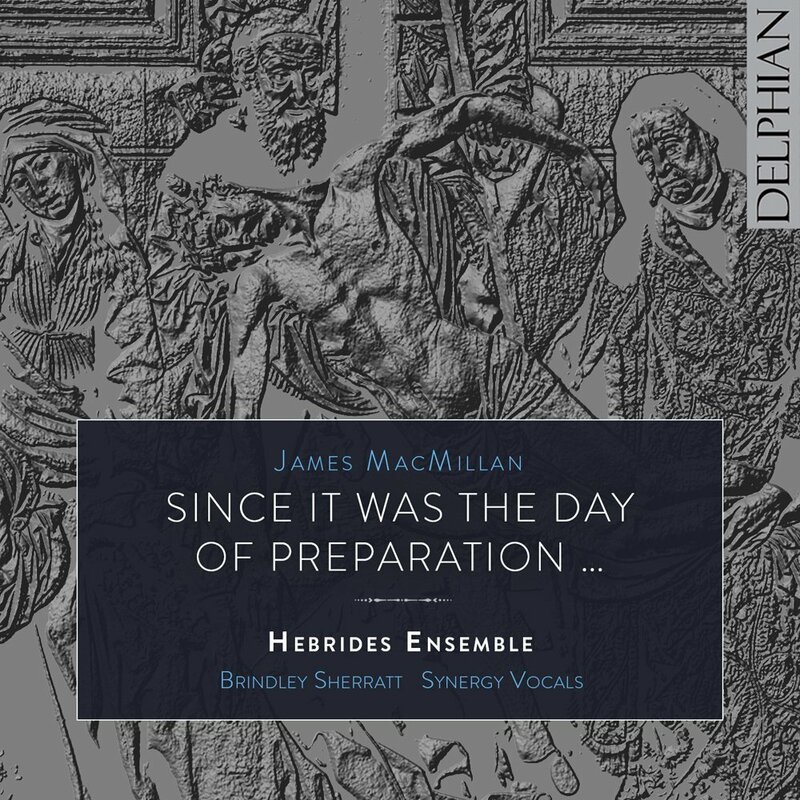 This is a first of a series of recordings made during John Scott's tenure as director of music at St Thomas's Church, New York, and being released commercially for the first time on the Resonus Classics label. 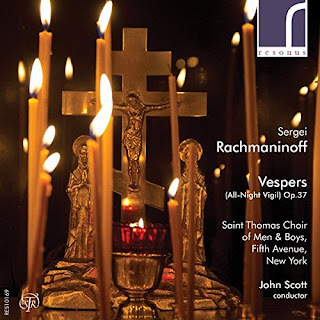 This first disc is a 2008 recording of Rachmaninov's All Night Vigil (Vespers) Op.37 on which Scott conducted the St Thomas Choir of Men and Boys, with Ory Brown (mezzo-soprano), and David Vanderwal (tenor). There has only been one other account of the Rachmaninov Vespers issued on disc with a choir of men and boys, that of Stephen Cleobury and the choir of King's College, Cambridge. 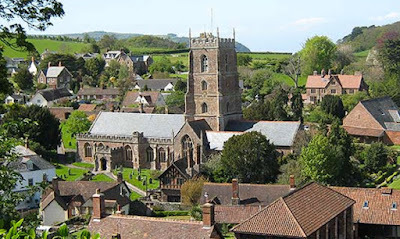 The trebles of St Thomas's Church have a clearer brighter sound that the King's ones, and the style of the two conductors is markedly different. 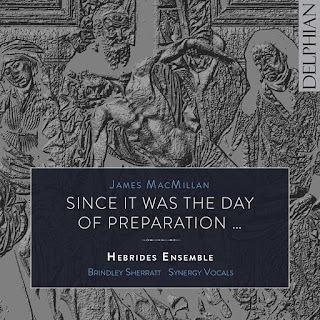 The sound of the choir is quite light, with a very forward placement of the vowels so that the choir retains its distinctive Anglican sound, do not buy this disc if you want dark Russian vowels and swallowed consonants. Scott uses this sound to really shape the music, he takes quite an interventionist view of the music, you notice this from the opening chorus where he has the choir giving us some very pronounced and intense phrasing, shaping the music strongly.